April showers may bring May flowers, but they can also bring leaks in the roof. And if a leaky roof isn’t your problem, the looming tax deadline on April 15th might be causing you some worry. Or maybe your stress is related to job insecurity, buying a new home, planning a wedding, marital problems, or one of a million other issues. The point is, it’s safe to say that all of us experience stress on a daily basis every single month of the year. But out of all those months, April has been appointed National Stress Awareness Month, so it’s the perfect time to explore all the ways we can combat the stress in our lives. Stress takes a huge toll over time, both mentally and physically. It has been associated with mood problems such as depression, anxiety, and irritability. And research has linked chronic stress with conditions including headaches, sleep disorders, stomach problems, diabetes, and heart disease. Therefore, it’s important to take de-stressing seriously. And there’s no time like the present—especially during National Stress Awareness Month—to start trying out a few methods of reducing your stress levels. Check out seven of our top options. You’ve undoubtedly heard the expression “laughter is the best medicine,” and science backs up this claim. A 2009 study at the University of Maryland Medical Center in Baltimore showed that laughing literally opens the blood vessels, promoting better blood flow to the heart.1 So watch a movie that always makes you laugh or chat up your funniest friend for a dose of giggles and good health. If you think meditation is just for Buddhist monks, you are missing out on a great opportunity to soothe away stress and improve your health. There is a great deal of evidence that mindfulness meditation can boost mood and relieve anxiety. All you need to do is sit quietly for 10 minutes, concentrating only on your breathing and your body. Physical activity is a natural form of stress relief. Our bodies release endorphins, neurotransmitters in the brain that make us happy as we exercise. Find 20 or 30 minutes to take a walk, ride a bike, or do some other form of activity that you enjoy. You will most certainly return in a much better mood than when you started. Sometimes, we let whatever is causing us stress get the best of us by focusing all of our energy on it. Let’s say you’re busy at work, come home and make dinner, then have hours with nothing to do before bedtime except watch television and think about your problems. Instead, if you have a hobby to keep you busy, you’ll be happily focused on that and not the source of any stress. Herbal remedies and nutraceuticals can be a very effective remedy for stress. 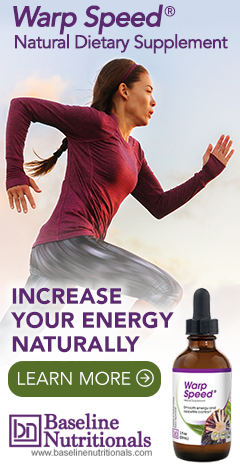 Select a high-quality formula that contains stress-relieving herbs such as St. John’s wort, ashwaganda, L-theanine, Valerian root, kava kava, and passionflower. 1. Miller, Michael and Fry, William F. "The Effect of Mirthful Laughter on the Human Cardiovascular System." Medical Hypotheses. 27 May 2009. Accessed 6 March 2018. https://www.ncbi.nlm.nih.gov/pmc/articles/PMC2814549/. 2. Scullin, MK; et al. "The effects of bedtime writing on difficulty falling asleep: A polysomnographic study comparing to-do lists and completed activity lists." Journal of Experimental Psychology. 23 October 2017. Accessed 6 March 2018. https://www.ncbi.nlm.nih.gov/pubmed/29058942. 3. Sneed, Rodlescia S. and Cohen, Sheldon. "A Prospective Study of Volunteerism and Hypertension Risk in Older Adults." Psychology and Aging. June 2013. Accessed 7 March 2018. https://www.ncbi.nlm.nih.gov/pmc/articles/PMC3804225/.